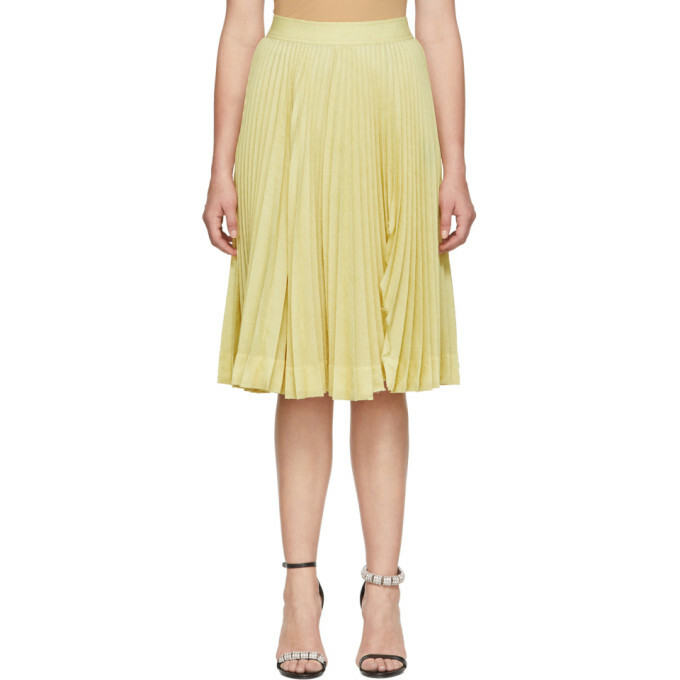 Pleated mid-length skirt in 'french vanilla' yellow. Mid-rise. Elasticized waistband. Distressing at asymmetric hem. Zip closure at back. Detachable silk lining in pink at interior. 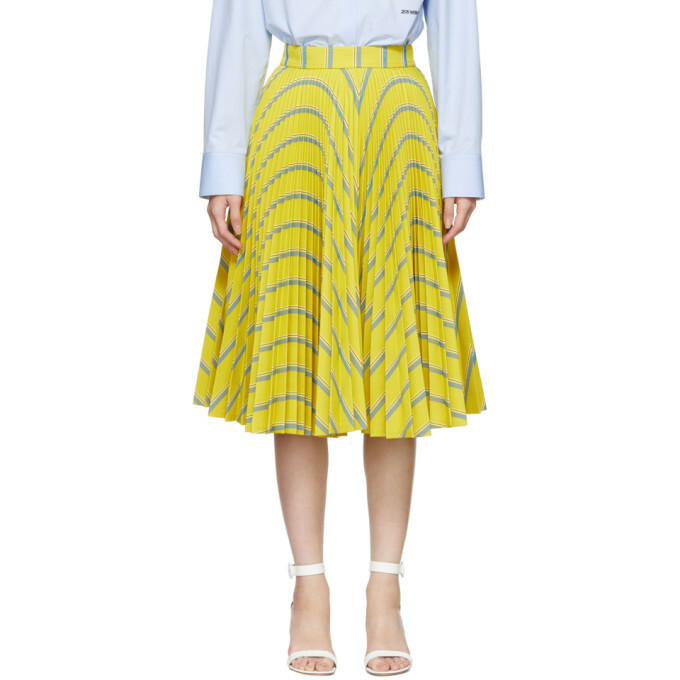 Mid-length 'soleil' pleated 'heavy' twill skirt in 'citron' yellow featuring stripes in 'sapphire' blue, white, and black throughout. Mid-rise. Concealed zip closure at back. Tonal stitching.